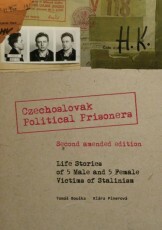 PoliticalPrisoners.eu - Download Czechoslovak Political Prisoners for Free Now! Sie sind hier: home / events / Download Czechoslovak Political Prisoners for Free Now! Download in pdf for free! 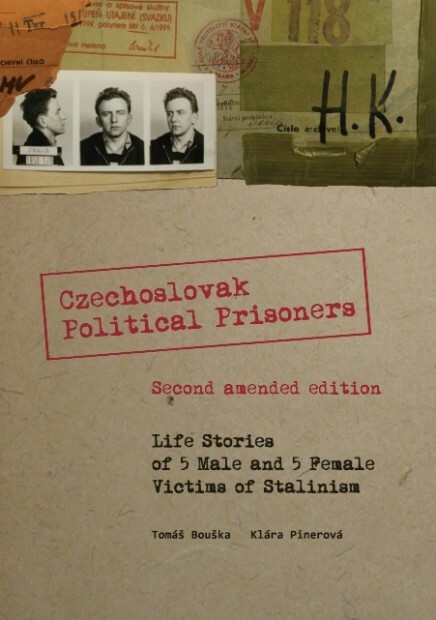 Download Czechoslovak Political Prisoners for Free Now! The book of 5 male and 5 female life stories of former Czechoslovak political prisoners is available on-line for free now. Download the pdf version right HERE or below this text for teaching, as an educational or empirical material for your paper or thesis or simply for finding out what the eywitnesses have to share about Czechoslovak political oppression. Brian Belensky, Leah Scheunemann, Savannah L. Harrelson, Olivia Webb, John R. Leake, Matthew Dickason and Daniel Dolenský. Thank you, guys, without you we would never manage! This book was part of a larger project in 2008 targeted at commemorating victims and survivors of Stalinism. We, then young volunteers from the Czech Republic, were introducing life stories of former political prisoners as an educational tool for youth and wider public. Lives of political prisoners persecuted in 1950s, then young people themselves, seemed hardly believable. It was the very subject of our interest, the narrators and their personal beliefs, strengths and hopes that underlined the times when Europe was split into two ideological blocs. It was their stories that questioned the basic values we took for granted nowadays. It was their voices that commemorated the victims and survivors of Stalinism. We wish you an enriching reading.